Foreclosure notifications arriving at your house? If you’re behind on payments, here’s how you can stop the proceedings. Buying a house is one of the biggest milestones one can ever make in their lifetime. It’s a dream that almost everyone wants to achieve at some point. However, it can quickly turn into a nightmare once you fail to keep up with your mortgage payments. Nothing is worse than investing so much money and memories on something, only to find out in the end that it will be taken away from you. Behind on your mortgage payments? 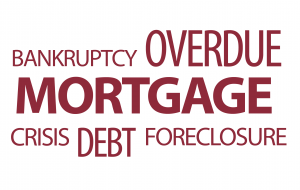 You can still stop foreclosure! If you are falling behind on your house mortgage payments due to financial reasons, the best thing that you can do is to step back and assess your options. Sure, facing a looming foreclosure is a scary reality, but there are still ways to stop it right on its tracks. One of the best ways to get out of a looming foreclosure is to sell your house as quickly as possible. You can still safely sell your house up until the foreclosure is completed. Typically, foreclosures take years to complete, however, others can happen as fast as five months. Your goal is to sell your home before your lender company takes action against you. Traditionally, you have to hire a real estate agent to help you sell your house. Your house will be listed to the open market and once the sale has been closed, a small percentage will go to your agent’s commission. The problem here lies when your home sells for less than the amount you owe. You will end up losing both your house and all your remaining savings if you go with the traditional sale route. In addition, selling your house with a help of an agent can take a lot of time. Remember, the goal is to stop your foreclosure by selling your house as quickly as possible. You probably have seen “We buy houses in cash,” “We buy houses fast,” or “Sell your house fast for cash,” signs around your town or perhaps while surfing the Internet. Investors or quick sale companies offer to buy your house in cash, albeit usually at a discount from the total market value of your property. Unlike real estate agents, they don’t charge commissions, and best of all, they are able to close sales as early as seven days. Falling behind your monthly mortgage payments can be very devastating. Unfortunately, stressing over the thought of your foreclosure won’t make your situation any better. If you find yourself facing an imminent foreclosure, always remember that there is a way to stop it from happening. You just have to act on it quickly because if you don’t, then you are guaranteed to make your situation worse. The good thing is that you don’t have to go through this ordeal alone. We can offer to buy your house in cash and help you move on from your foreclosure nightmare. To read more about how to sell your house fast, go here. More than just buying houses, we can also work with you to modify your loan or do a short sale. It just depends on what your goals are. Give us a call at 877-210-6460 or fill up the form below to get started.